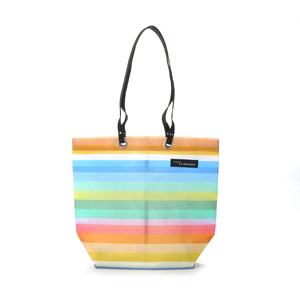 I don't like the punny name, but I like the light material and fun colors of Tote le Monde. I'm on a search for a small tote or something that is super easy for throwing snacks in, and these might be it. Them. Whatever.